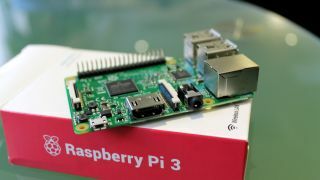 Raspberry Pi owners will be glad to know a new version of the Raspbian operating system has been unleashed on the world. Raspbian is the OS built specially for the Raspberry Pi, and its latest version, Stretch, makes a good number of changes to optimize performance. Although you won’t see many of them on the face of the operating system, as much of the work has been carried out under the hood. Rather than sweeping changes to the OS as a whole, the update includes new versions of major apps. Stretch comes with version 3.0.1 of Sonic Pi (live coding music synthesizer) and the bundled Chromium web browser is now on the latest stable release (version 60) which benefits from better memory management – so should definitely run more smoothly (fingers crossed). There’s also been a change from PulseAudio to using bluez-alsa to support audio over Bluetooth, and Scratch 2 (the programming language) has been bolstered with a new extension to support the SenseHAT. Of course, there have been various tweaks to the interface across the board, and a number of bugs have been fixed into the bargain – including a nasty potential exploit in the firmware of the BCM43xx wireless chipset (which is on board the Pi 3 and Pi Zero W). Raspian based on Debian (a flavor of Linux), and this new version is based on Debian Stretch (aka Debian 9) which emerged a couple of months back (the previous version was Jessie). You can grab Raspbian Stretch here, with a clean install recommended, although there is advice on upgrading from Jessie provided on the official Raspberry Pi blog, if you want to try that route.